André of New South Wales asks about our alleged dogmatic insistence on 24-hour creation days. His questions are already answered in our articles and books, particularly Refuting Compromise (RC). But as André is a sincere inquirer who has supported this ministry, RC’s author, Dr Jonathan Sarfati, responds below. I’ve read through your site many times and enjoy the articles. One thing that is really bugging me is the dogmatic approach you are adopting towards the length of the creations days. Why MUST the day be 24 hours long? Note that we use ‘24-hour day’ to mean a day of normal length. Today, 24 hours is the average ‘solar day’, or the time between two successive noons, where the sun is at its highest point in the sky. The sidereal day is the period of earth’s rotation about its axis, and is a bit shorter: 23 h 56 m 4.1’s. This is because the earth has moved around the sun by ~1/365.25, so must rotate a little more than a full rotation for the sun to reach its highest point. I’ve read your article on this but it does not justify such an adamant stance. We know that Strong’s Concordance has many meanings for this word yom. And we point out that the meanings can be determined by context. No, our primary aim is to accept what He says, and build models consistent with this, and show problems with denying this. We don’t place any models on the same level as Scripture—see Hanging Loose : What should we defend? but who knows the mind of God, or who can figure out His ways? God wrote the Bible to teach (2 Timothy 3:15–17), so He wrote to be understood. Scripture would have no ability to communicate if words didn’t mean the same to God and man. But God wrote the Bible to teach (2 Timothy 3:15–17), so He wrote to be understood. Scripture would have no ability to communicate if words didn’t mean the same to God and man. A reductio ad absurdum of this idea is to consider any other word in Scripture. Perhaps what God meant by ‘steal’ or ‘murder’ in the Decalogue isn’t what man means either? After all, this was a ‘special case’ where God wrote with His own finger. And since Jesus is God and He was in the grave for three days, were these days not literal either? This whole approach is existentialist nonsense. Did God experience the seven and 33 years in the same way David did? No! Were those still ordinary years? Yes! Therefore, when He said ‘day’, in the context of Genesis, He meant day from our perspective, since we are the creatures in the created space-time dimension who experience time. He even told us that they were ordinary days by the comparison in Exodus 20:8–11 in the same Decalogue. What about it? The mention of night shows that the day-night cycle had already been instituted, so it is strong reinforcement for normal-length days. Bishop Ussher mentions that in Hebrew the use of ‘evening’ and ‘morning’ can refer to seasons. The two words, ‘evening’ (‘ereb ערב) and ‘morning’ (boqer בקר), are combined with יום (yôm) 19 times each outside of Genesis 1 (three times these words share the same reference―Numbers 9:15, Deuteronomy 16:4 and Daniel 8:26). Every time, they clearly mean that particular literal part of a 24-hour day, regardless of the literary genre or context. Also, even when ‘morning’ and ‘evening’ occur together without yôm (38 times outside of Genesis 1, including 25 in historical narrative), it always, without exception, designates a 24-hour day. All the instances of yôm in the Genesis 1 account are qualified by the statement ויהי ערב ויהי בקר (wayehî ‘ereb wayehi boqer)—‘and there was evening, and there was morning’, which by comparing with other Scripture, must denote a 24-hour day. God said, ‘Let the earth bring forth grass, the herb yielding seed, the fruit tree yielding fruit after his kind, whose seed in itself, upon the earth: and it was so.’ Notice the ‘let the earth bring forth’, was all vegetation brought forth in 24 hours? Was ‘and it was so’ referring to the fact that ‘the earth did bring forth the vegetation in only 24 hours’, or is it rather referring to ‘it was so that the earth would do the actual bringing forth of the vegetation at normal biological speed’? When Jesus heard this, he was astonished and said to those following him, ‘I tell you the truth, I have not found anyone in Israel with such great faith.’ … Then Jesus said to the centurion, ‘Go! It will be done just as you believed it would.’ And his servant was healed at that very hour. As the centurion (commended by Jesus in (Matthew 8:5–13) realized, even his own orders were obeyed immediately and without question. Therefore, he realized, how much more would the commands of the Lord of Creation be obeyed. 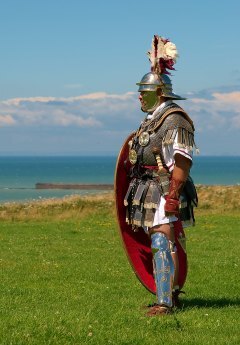 As the centurion realized, even his own orders were obeyed immediately and without question. Therefore, he realized, how much more would the commands of the Lord of Creation be obeyed. That is, God’s commands were fulfilled and even assessed within each 24-hour day. Attempts to avoid the clear historical time frame of Genesis destroy the connection between God’s commands and the response of His creation to His commands, making Genesis inconsistent with the rest of Scripture, and with His revelation in Christ, the ‘exact representation of God’ (Hebrews 1:3). Actually there is nothing to suggest that the Hebrew can’t simply mean that the trees were created as growing, as long as they were still mature enough to produce seeds. 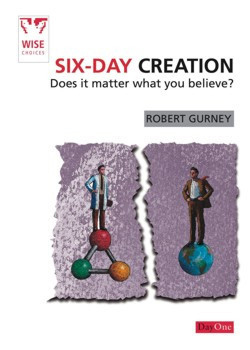 Thus theistic evolutionist and progressive creationists are painting a false picture of our infinite Creator, by having him as the author of a slow and gradual process with many false starts. ‘And the earth brought forth grass, herb yielding seed after his kind, and the tree yielding fruit, whose seed in itself, after his kind’. Could this narration be referring to what happened in the year(s)/season(s) that followed this particular ‘yom’? No. As I said, all was fulfilled by the close of Day 3, so the cycle of life was ready to go. What Hebrew language law requires that ‘yom’ MUST always refer to a 24-hour day? Surely these ‘yoms’ could be various lengths of time through the creation age? We know there are ages past and ages to come in God’s perfect plan. In this structured narrative (Num. 7) with a sequence of numbered days, no one claims that it is merely a poetic framework for teaching something theological and that it is not history. No one doubts that the days in Num. 7 are ordinary days, so there simply is no grammatical basis for denying the same for the Gen. 1 days. In this structured narrative (Num. 7) with a sequence of numbered days, no one claims that it is merely a poetic framework for teaching something theological and that it is not history. No one doubts that the days in Num. 7 are ordinary days, so there simply is no grammatical basis for denying the same for the Gen. 1 days. That is, Gen. 1 is straightforward history. Barr, consistent with his neo-orthodox views, does not believe Genesis, but he understood what the Hebrew writer clearly taught. Some sceptics criticize the use of the Barr quote, because he does not believe in the historicity of Genesis. That is precisely why we use his statement: he is a hostile witness. With no need to try to harmonize Genesis with anything, because he does not see it as carrying any authority, Barr is free to state the clear intention of the author. This contrasts with some ‘evangelical’ theologians who try to retain some sense of authority without actually believing it says anything about history. Dr Robert McCabe, Professor of Old Testament at Detroit Baptist Theological Seminary in Allen Park, MI. Why does God say, ‘And coming is it to be evening and coming to be morning, day one’, then, ‘And coming is it to be evening and coming to be morning, the second day’, third day, etc, etc in the literal translation. Why ‘day one’, then ‘second day’, ‘third day’, etc? Good pickup about the cardinal (Day One) followed by the ordinals (2nd, 3rd) We have a detailed article on this, The numbering pattern of Genesis: Does it mean the days are non-literal?. If there is no Hebrew language law for yom only referring to a 24 hour day, and these words can have other meanings, why the insistence of six 24-hr days? We don’t claim that yôm can refer only to a 24-hour day, but that the context of the Creation Week in Genesis 1 demands it, as does the Fourth Commandment of Exodus 20:8–11 that is based on Creation Week, and that this is reinforced by the sequence of numbered days in Numbers 7. Thank you for your reply. I have re-read the articles you gave me in the links, however my opinion is still the same. Firstly, I am not a theistic evolutionist, and have in the past been a financial supporter of CMI for a few years. Thank you. We very much appreciate any financial support; this enables our further outreach. Secondly, I feel this insistence on a literal 24 hour creation day is out of fear of approving or supporting of the ‘evolutionary timeframe’, and hence giving the argument for biological evolution credit. In my opinion this fear is unfounded, as empirical science has destroyed the argument for biological evolution. 1) If the age of the earth is really about 6 thousand yeas old, then all the scientific dating methods are wrong, and those scientists have wasted their time and money. Who says it’s their money? Much evolutionary research is performed using money coerced from taxpayers. Note also, as above: long ages are certainly not sufficient for evolution, but they are necessary. And without evolution, it would be impossible to be an intellectually fulfilled atheist (Dawkins). What scientific dating methods do YEC scientists use to date the age of the earth and universe, and what are their results? Are their results congruent? See Q&A young-earth evidence. Some notable ones are C-14 in diamonds, helium in zircons, and blood vessels and cells in dino bones. And remember that age cannot be measured. 2) If the creations days are so obviously 24 hours long, why then the need for God to use ‘and it became evening and it became morning’? It should go without saying. It is this ‘and it became evening and it became morning’ that stresses the point and makes it incontrovertible. 3) We have the very first definition of what a literal day is in Genesis 1:5. Interesting that the Hebrew-Aramaic Lexicon of the Old Testament by Koehler and Baumgartner indicates Gen 1:5 (And the evening and the morning were the first day) as a ‘day of twenty-four hours’. God called the light ‘day’ [yom], hence a literal day [yom] is the light, therefore light=day. God called the dark 12 hours night. That’s another meaning of ‘day’, just as in English, as CMI has long pointed out. Dark=night can be concluded from this. Therefore a literal day according to God is not 24 hours, but 12 hours. We have a second scriptural witness to this: John 11:9, Jesus asks’ ‘Are there not twelve hours in a day?’ Implying that, yes there are only twelve hours in a literal day, the part that is the light. The Father and His Son are in agreement on this definition of a literal day. So according to CMI’s insistence on God creating in 6 24-hour ‘literal’ days, God actually created in 12 hours, while it was light, no creating was done while it was dark. No creating was done for the entire duration of the 24 hours for each of the 6 days. God only created for 12 hours/day. Does CMI agree with this 12 hours/day creating? CMI has never disputed that ‘day’ can mean the daylight hours. It wouldn’t affect the time frame at all, so what’s the deal? We still maintain, following Ex. 20:8–11, that God’s creative acts spanned Creation Week of 6x24hr periods. We are not dogmatic about whether God created during the light portions of those 24-hour days, since this is not a question at dispute when it comes to age. 4) There is no mention of ‘and it became evening, and it became morning’, for the seventh day, why? Another possible reason for leaving off the refrain about evening and morning was to further emphasize that God’s creation work was completed, as Genesis 2:1-3 says so clearly. Certainly, John 5:17 says, ‘But Jesus answered them, “My Father is working still, and I am working.”’ But in context Jesus is referring to God’s providential and redemptive work, not creative work. The Father still works, but He is not creating, in the Genesis 1 sense of the word. He is resting from all that He made. Since the main debate is over thousands v billions, it is reasonable to point out that plants could not have survived without the sun or insects for millions of years. The ‘days’ could very well be various lengths of time. In Genesis 1:11 it states, ‘And God said, Let grass come up [sprout] on the earth, and plants producing seed, and fruit-trees giving fruit, in which is their seed, after their sort: and it was so.’ Here we clearly see that there were already seeds in the vegetation, no pollination was required to get the vegetation reproducing initially, therefore the later part of ‘day’ 3 could be only several years long. But why would one want this? It is not taught in the text, and in any case won’t impress those who believe in billions of years. If we are to get real science and God’s creation to fit, we have to accept that the vegetation grew at its natural biological pace and through its natural biological processes, just as what occurs today. Why must we restrict God to using the processes by which He now upholds His creation? This is assuming uniformitarianism and naturalism, whereas He has told us that He created rapidly by miraculous processes. See also Naturalism, Origins and Operational Science and Miracles and science. After all, it was the earth [ground] that God commanded to sprout forth seed bearing vegetation, this is exactly what we observe with empirical science today, unlike biological evolution. We cannot get around this, the vegetation was only sprouting, and was sprouting out of the ground, the ground brought it forth. How can the ground sprout forth vegetation and fruit trees bearing fruit in just 24 hours? Because God said ‘let this be done’? How did Jesus turn water into wine instantaneously? Update: see feedback on this article. 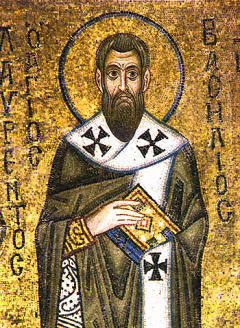 Basil, Hexaëmeron 5:5,6,10, AD 370, . Return to text. Actually, in Numbers 7, the phrase is bayyôm, where the ‘a’ represents the definite article, ‘the’, meaning ‘on the day [xth]’, unlike beyôm, which lacks the article. Return to text. McCabe, R.V., A defense of literal days in the Creation Week, Detroit Baptist Seminary Journal 5:97–123, Fall 2000. Return to text. Barr, J., Letter to David C.C. Watson, 23 April 1984. Return to text. Steinmann, A., אחד as an ordinal number and the meaning of Genesis 1:5, JETS 45(4):577–584, December 2002. Return to text. Sarfati, J., Hebrew scholar affirms that Genesis means what it says! Interview with Dr Ting Wang, Lecturer in Biblical Hebrew, Creation 27(4):48–51, 2005; . Return to text. Snelling, A.A., Radioactive ‘dating’ in conflict! Creation 20(1):24–27, December 1997–February 1998. Return to text. Snelling, A.A., Stumping old-age dogma, Creation 20(4):48–50, September–November 1998. Return to text. Maniguet, M., The Theological Method of Hugh Ross: An analysis and critique, M.Th. Thesis, Systematic Theology, p. 22, Baptist Bible Seminary, Clarks Summit, PA, May 2002. Return to text. Anon (based on research by Mike Kruger), Is the seventh day an eternal day? Creation 21(3):44–45, 1999. Return to text. Kulikovsky, A.S., God’s Rest in Hebrews 4:1–11, J. Creation 13(2): 61–62, 1999. Return to text. But see also Kruger, M.J., An understanding of Genesis 2:5, J. Creation 11(1):106–110, 1997. Return to text.